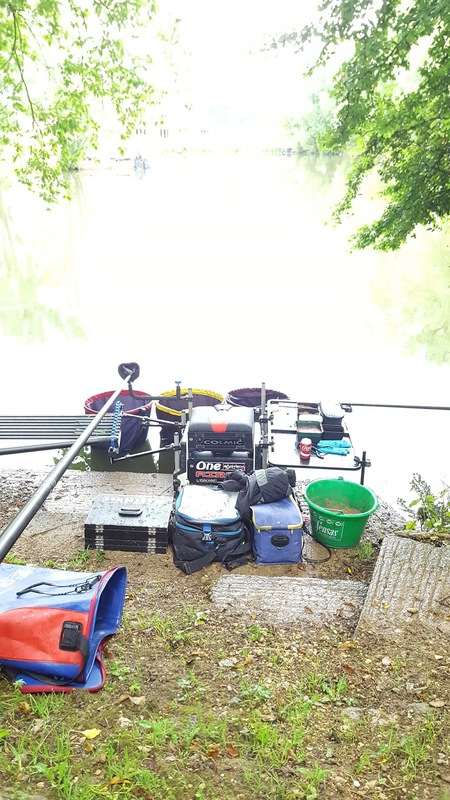 Liam Dennick Fishing : Sunday 12th June. Today I have been to bourton on the water lakes for the open match. My first visit to this venue. After not really knowing what I needed to do I decided just to fish what I'm confident in. Pellet fishing on the deck and shallow and down the edge. Groundbait and dead maggots either side of me. Down my left had margin I had an old pallet about 8m along the bank so I fished against that thinking they'd come there for safety and the other margin line was top 5 to my right. I fed my edge lines at the start. The left hand line I decided to feed more positively and the right hand side not so much. I shipped out to 13m and started pinging pellets, i started having indications straight away which was promising. Then I found out what they were.... Rudd! I was fishing a 4mm pellet but the Rudd seemed to take an interest in that so a quick change to 6mm stopped them. I started catching a few carp but they were only quite small. I caught a couple shallow at the half way stage and had to keep working really had to rotate between the deck and shallow. By 3:00 there were 2 hours remaining and looking round I felt I was doing ok. So fed some more bait down the edge and went straight on it. I had a quick look to my right and saw a big swirl over my bait and went straight on it. I hooked one instantly which was a better stamp fish. I caught steadily on this line until the end of the match. The key was big potting groundbait and maggots every fish. I fed around 2kg of groundbait and 3 pints of dead maggots. At the all out i had around 24 carp. I weighed in 56-0-0 which put me 3rd overall. I felt If I'd of known a little bit more about the venue i could of filled in those dry spells which would of helped me boost up my weight. Will deffintly be going back there.